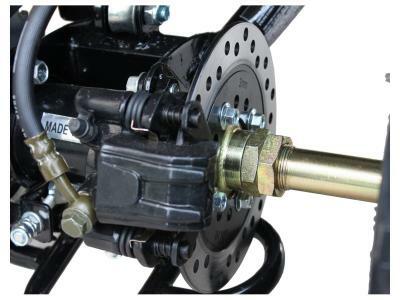 Shop for ATV035 110cc ATV - Lowest Price, Great Customer Support, Free PDI, Safe and Trusted. Automatic w/Reverse, D-N-R Gears, Hand Shifter, 16" Tires, Air cooled, Front Drum/Rear Disc Brakes, Remote Control, Speed Limiter, Engine Kill Switch. 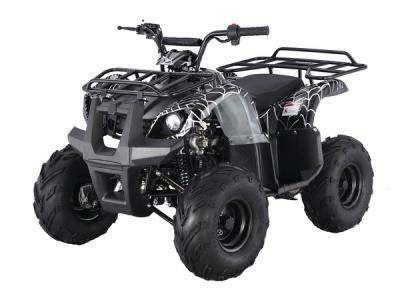 ATV035 was designed from the ground up to mimic the popular brand style ATVs. It is a Middle Size ATV. 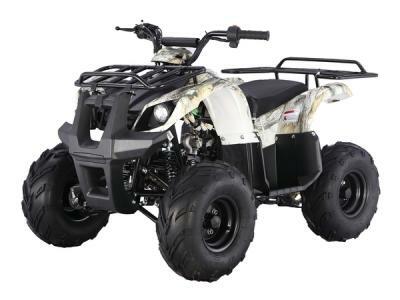 From the rugged contours of its body, to its big wheels, knobby tires and aggressive stance, every aspect of ATV035 screams to be admired. 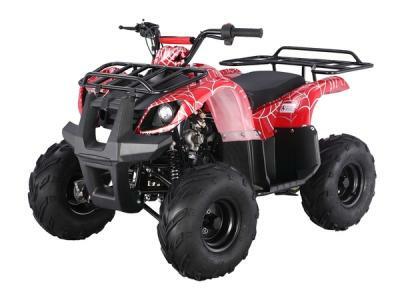 ATV035 has enough room for you to ride and will bring years of fun experience to your family. Our 110cc ATV are the ultimate in competition that have a high performance 110cc 4-stroke engine with electric start, tops out at speeds of over 35 miles per hour. These engines are built based on Yamaha technology. 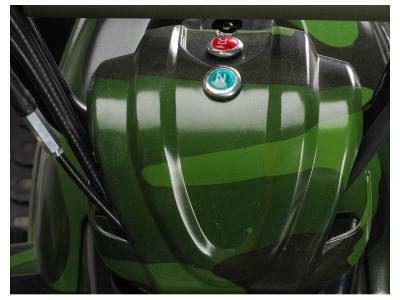 The durable double A-arm suspension, Front Drum and rear Disc brake, and improved engine design will ensure a ride that is a cut above. 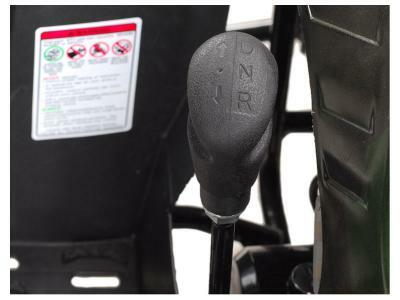 All our ATV are made under very strict quality control by the ISO9000 certified manufacturers. 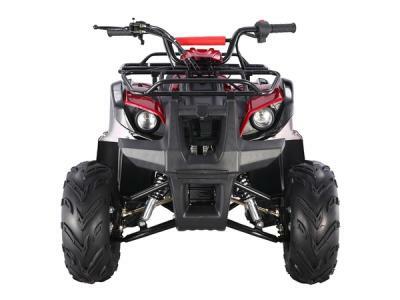 Our ATV has the similar performance as many other brand name ATVs, such as Yamaha, Honda, and kawasaki. However our price is not even one fifth of their high expensive prices. Your kids can have the same enjoyable riding experience while you keep that extra money in your saving. 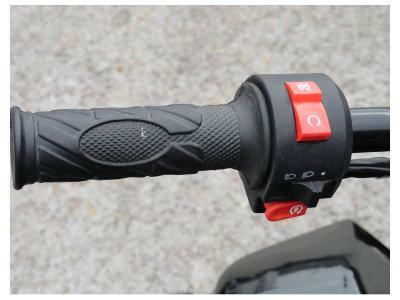 More comfortable with upgraded safety. My son wanted an ATV for his birthday. They have the cheaper choice. Hope it will be shipped before his birthday. Does this model come with the remote Control engine shut off for the parent? 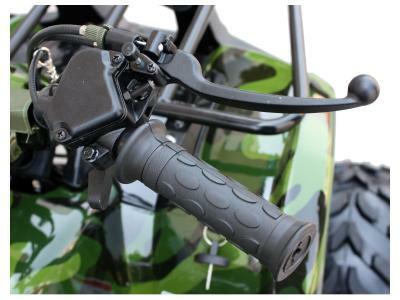 This ATV has Speed Limiter, Remote Control and Engine kill switch. Don't worry about safety. 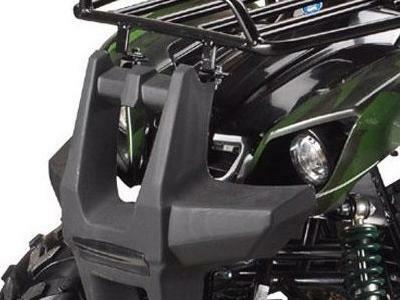 can you put license plate on ATV? is there a way to change the drive-Tran to help it get up the hills? if im not already full speedf by the time i hit the bottom of the hill the 4wheeler cant make it up. No, you would have to simply purchase a Bigger ATV Motor. I'm trying to select the purple camo atv in the picture to order but it keeps saying choose color 1 and color 2 but there is no pink or purple in the color choices... its for my daughter and I want pink or purple but there's no pink or purple color choice... please help. Hi, if you can't find certain color, it means the color product is sold out. Now we have 2 models have pink color. 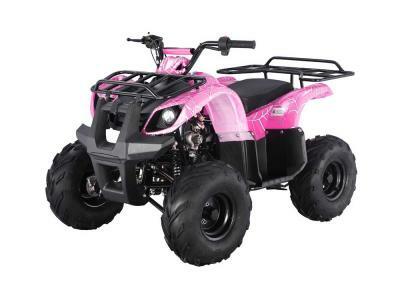 http://www.megamotormadness.com/Pink-125cc-atvs You also can use the color filter to find the products you needed. 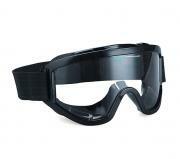 can I us it for trapping and can I ride in snow around 4in. deep? 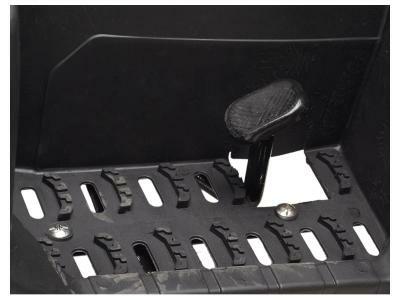 The ground clearance is less than 4 in. 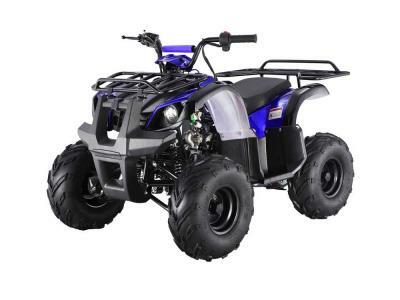 Recommend 150cc and up ATV. 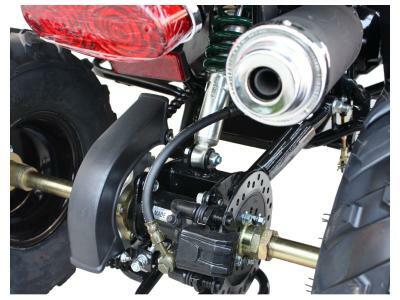 Are your ATV's Road Ready? Off road model, not street legal. does this model come already built and put together? or will i have to assemble some parts? also does it come with a fully charged battery? All of our units come 80% assembled. 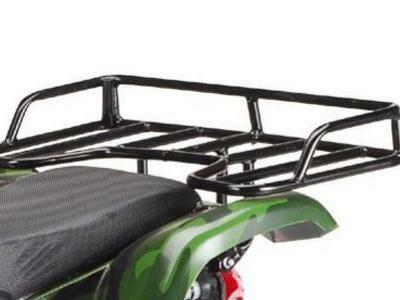 You need to assemble the shocks, wheels, luggage racks, and handle bar. We recommend you charge the battery once you receive it. If you have any questions regarding your unit, please contact parts@megamotormadness.com or call 855-623-6686. Does it have working headlights? yes , these are working headlights. Yes all our Atv's/Fourwheeler's are allowed in the United States. The weight capacity is 132 lbs can someone heavyer ride this? No, only 132lbs. 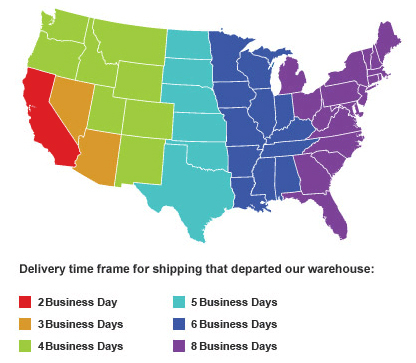 If you have any more questions give us a call at 855-623-6686.
i believe shipping is 199. but you can check our website for shipping info. once payment is made and unit is qc'd it is around 5 to 7 business days.